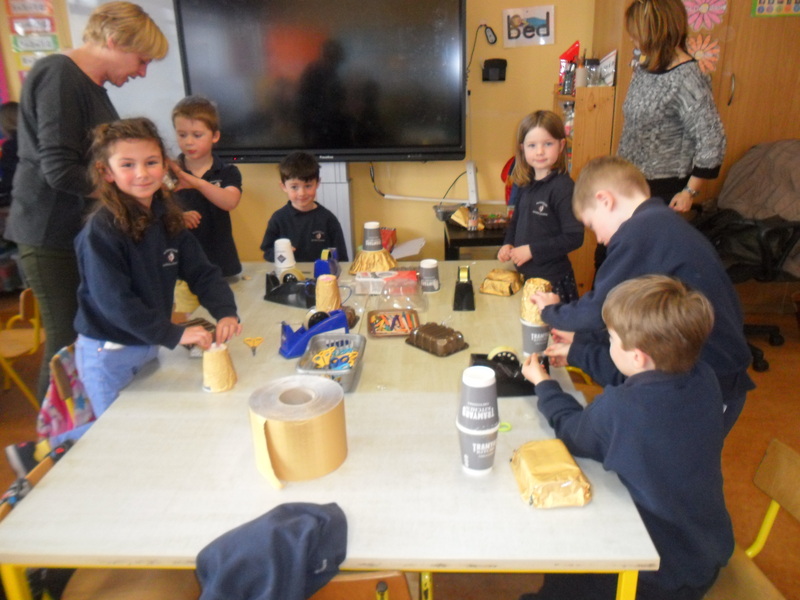 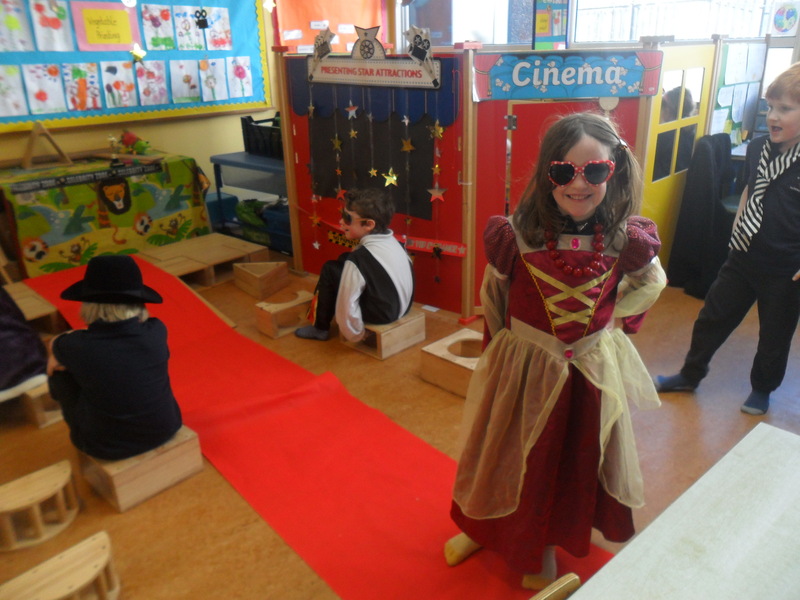 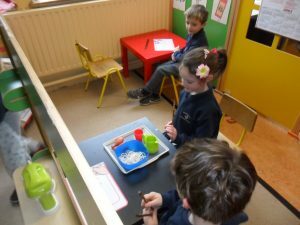 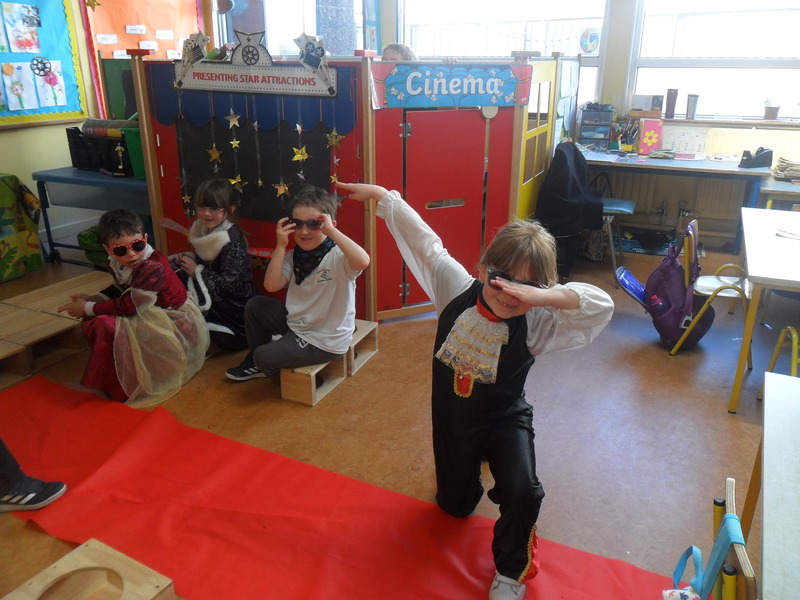 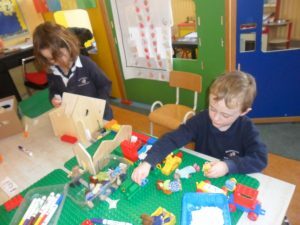 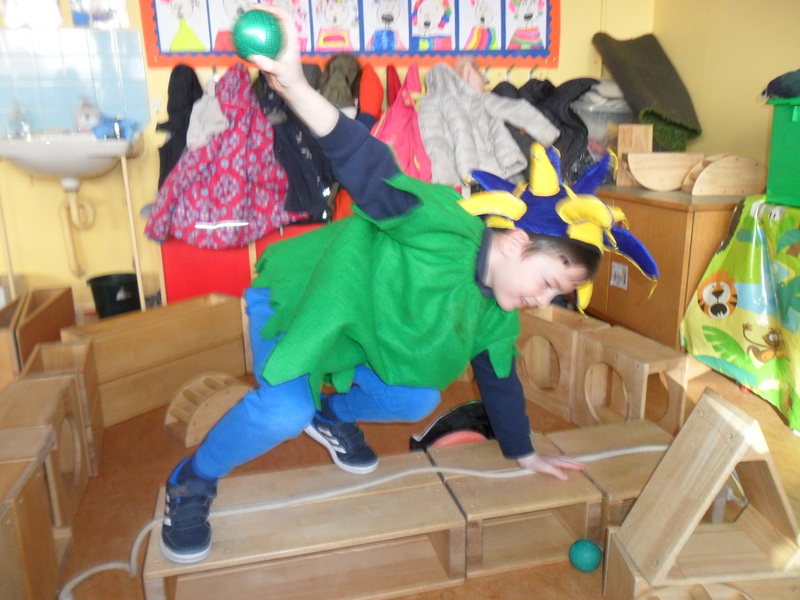 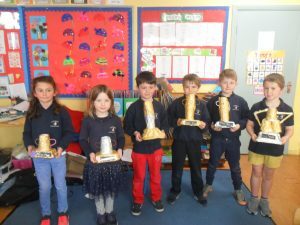 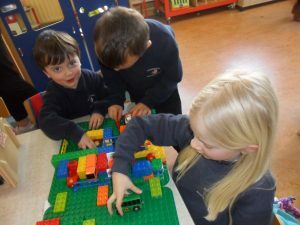 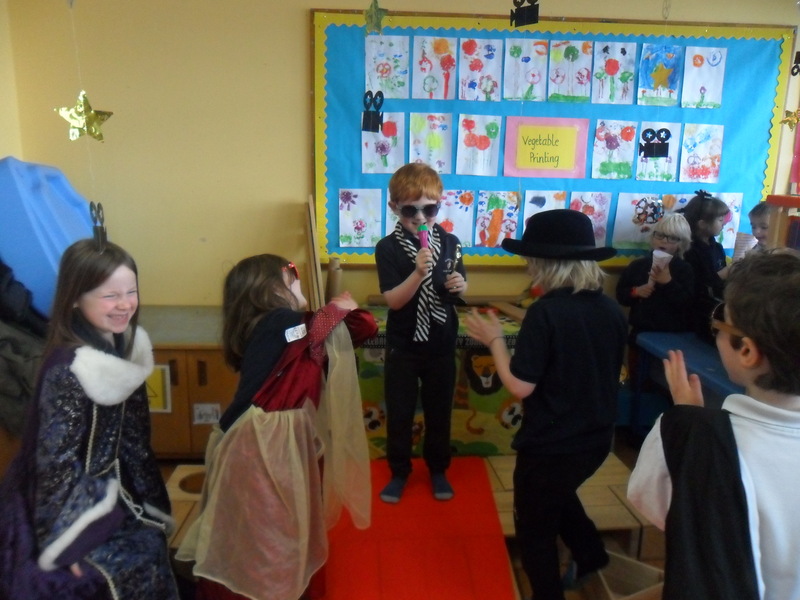 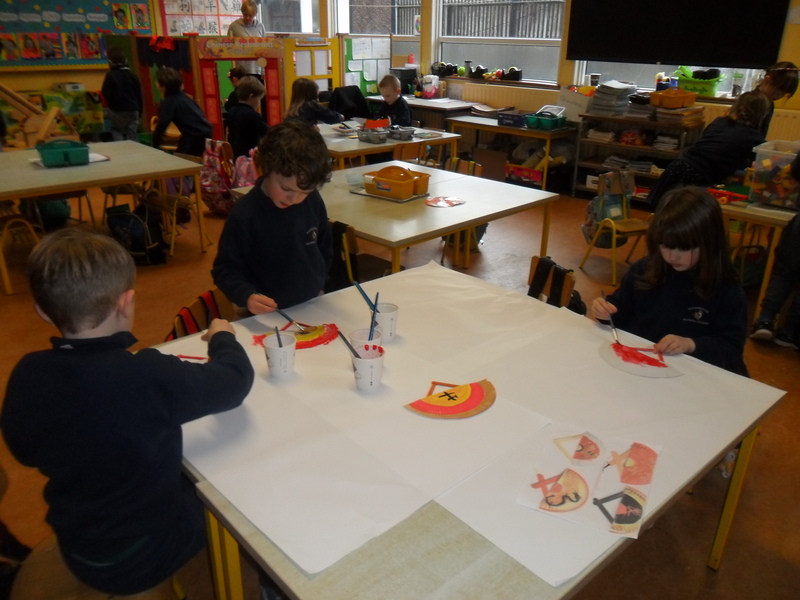 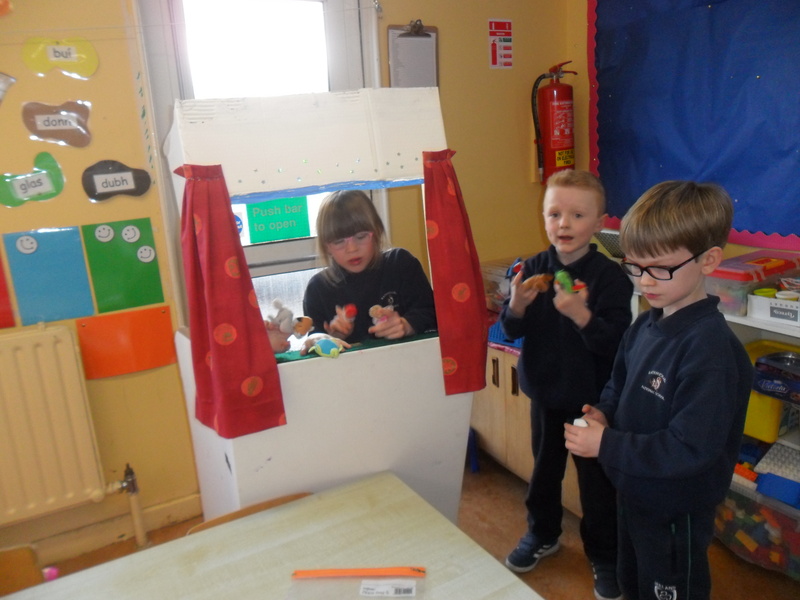 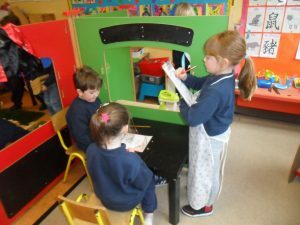 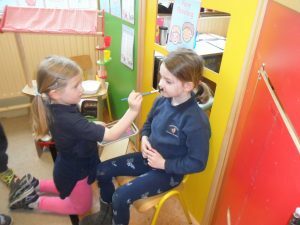 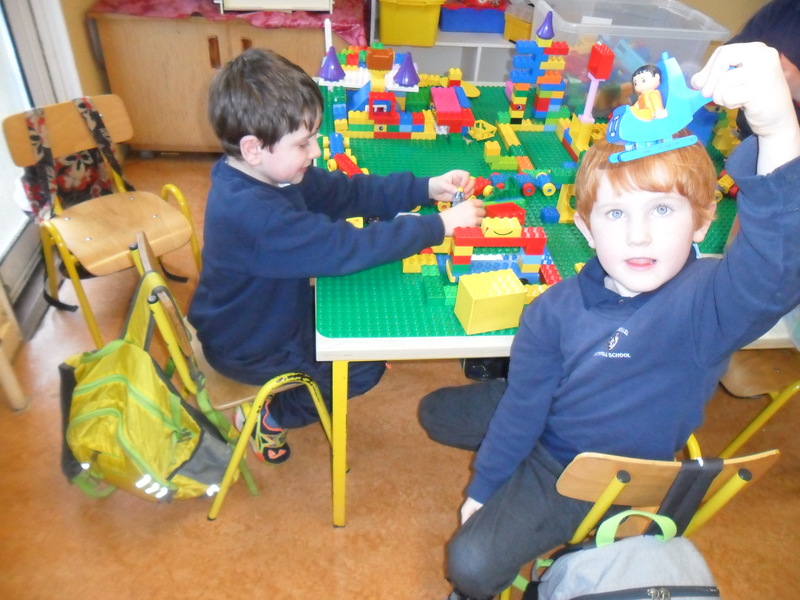 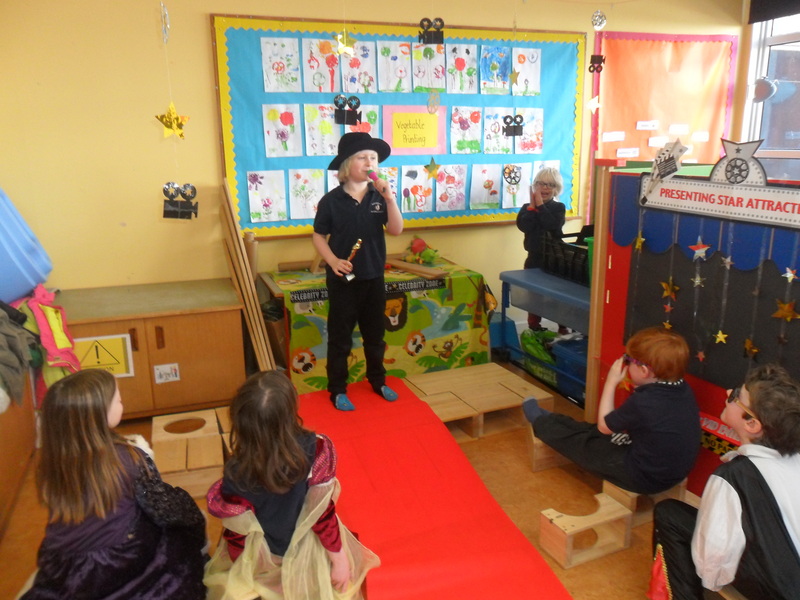 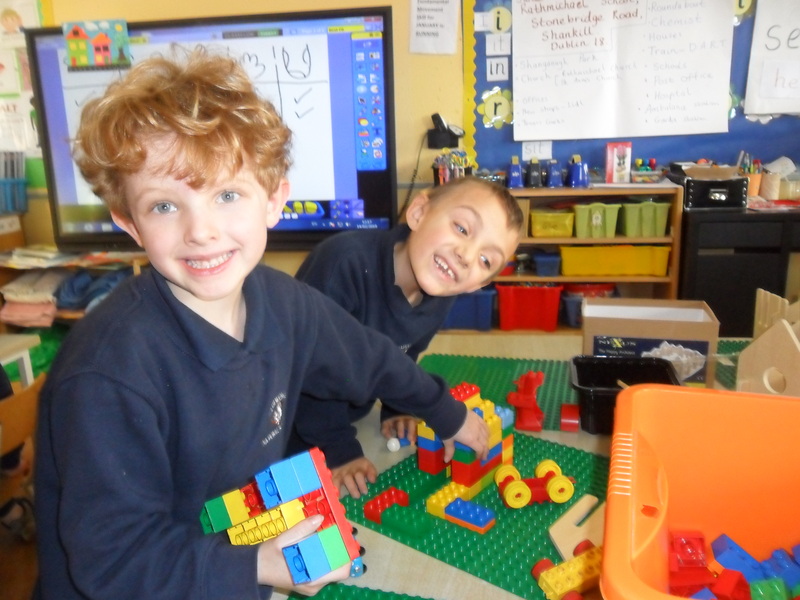 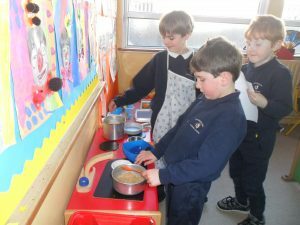 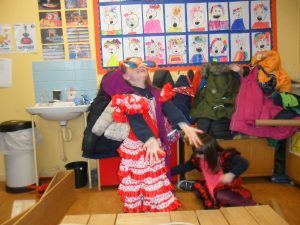 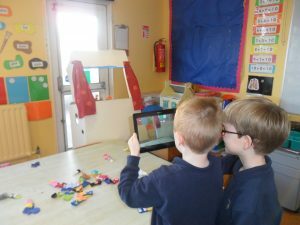 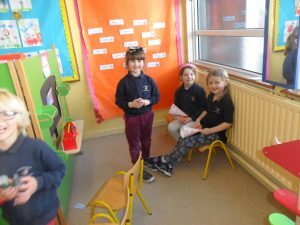 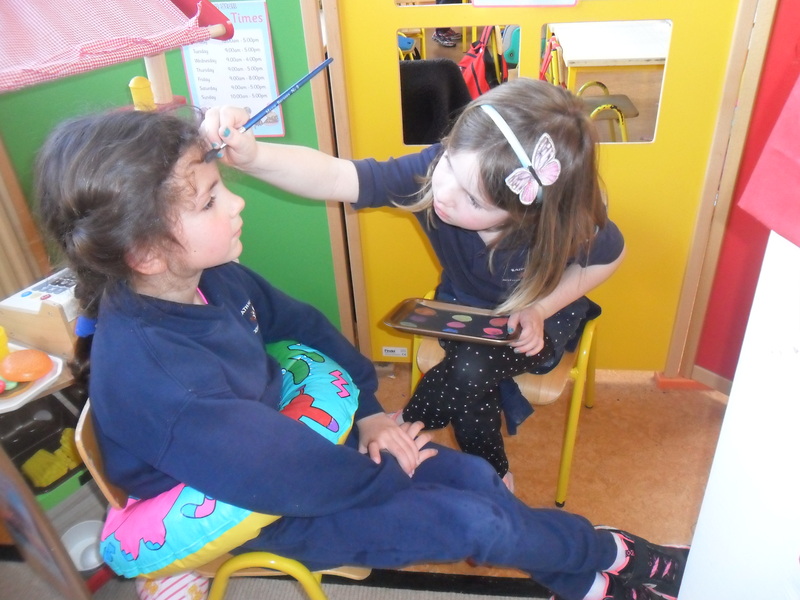 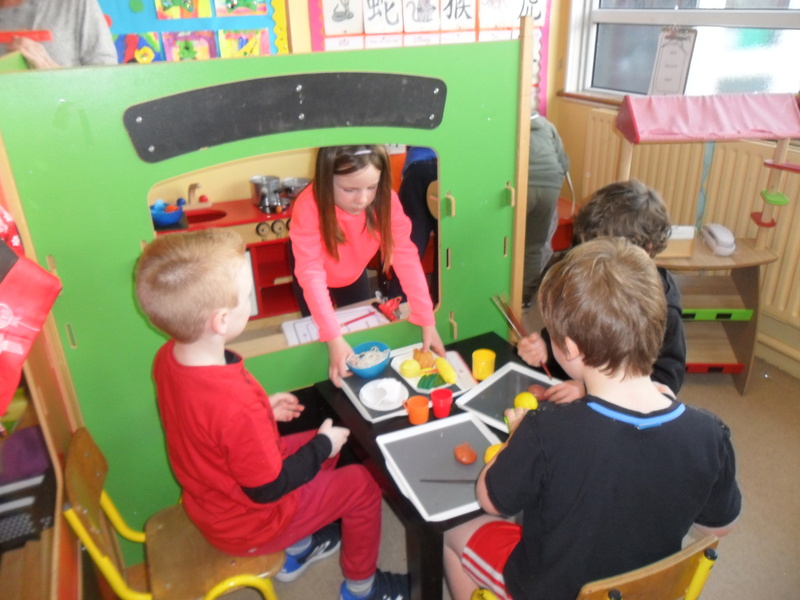 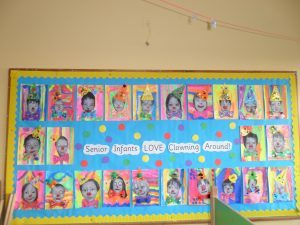 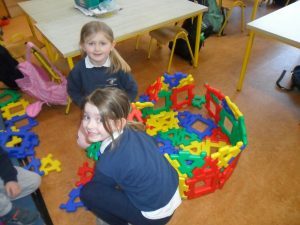 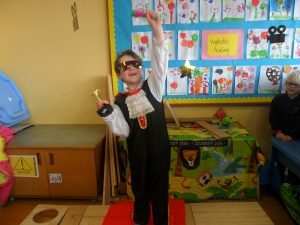 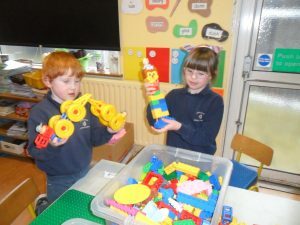 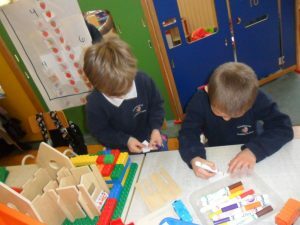 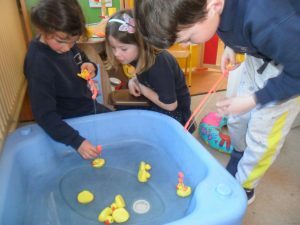 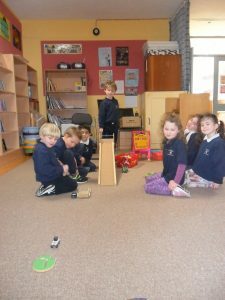 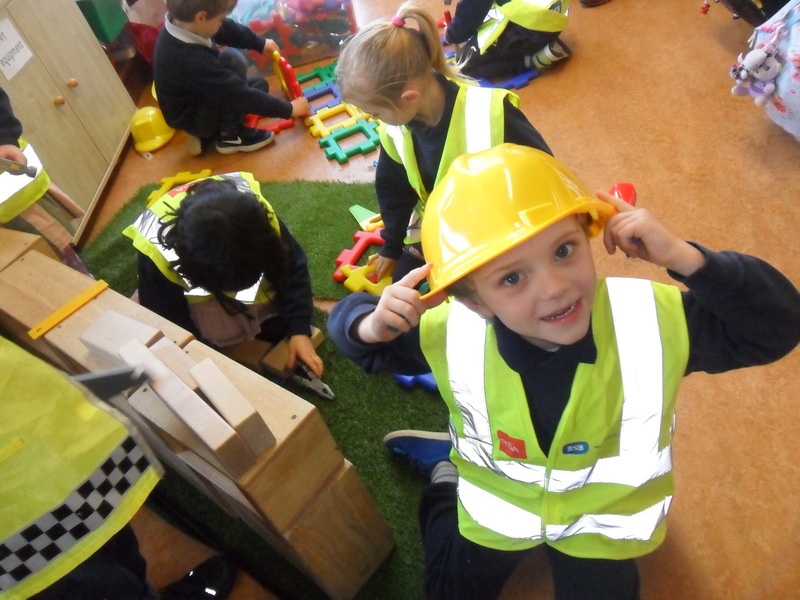 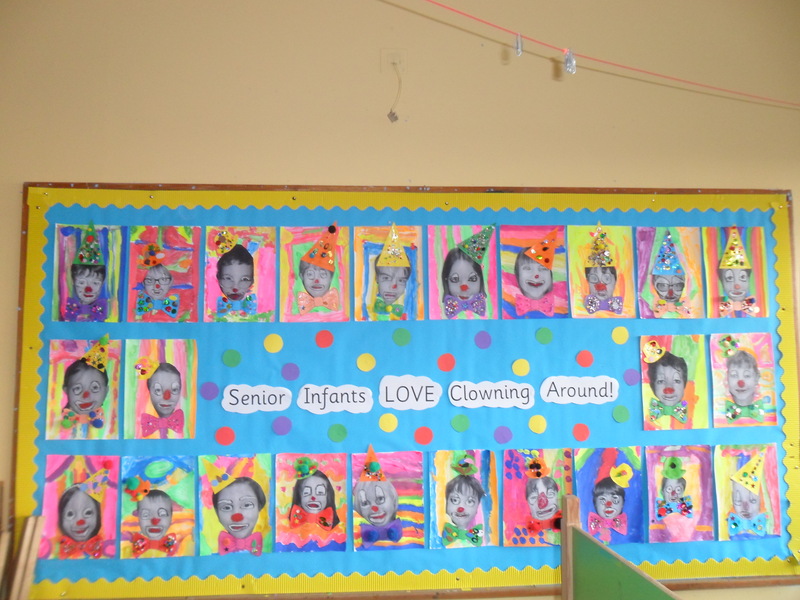 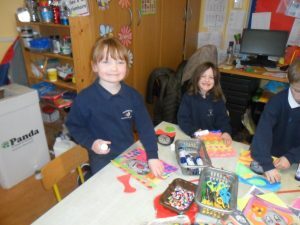 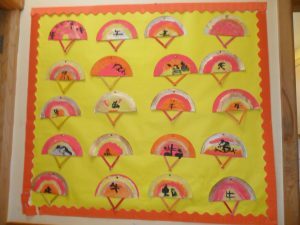 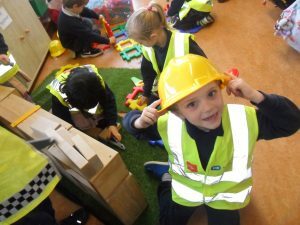 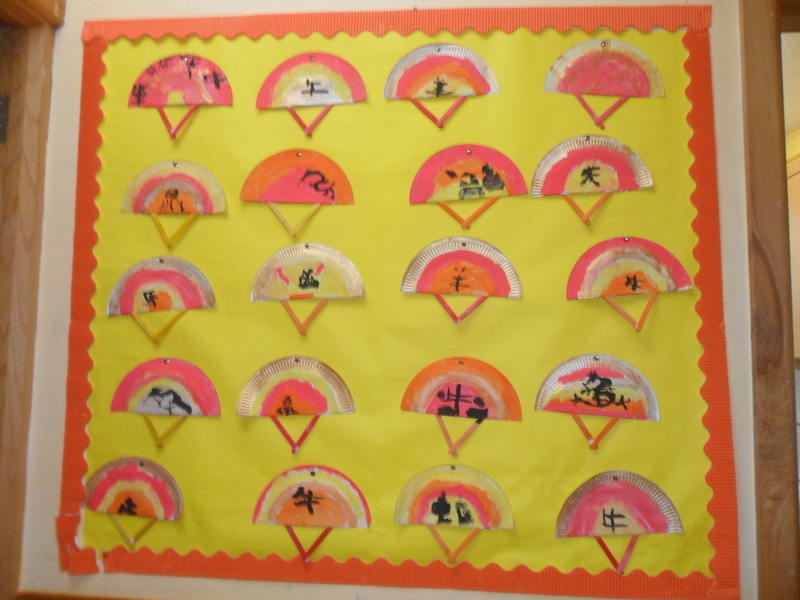 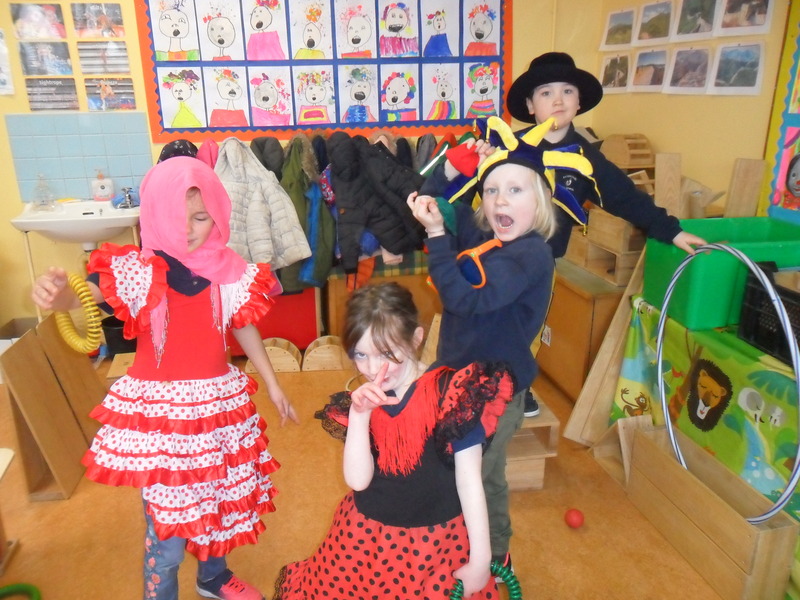 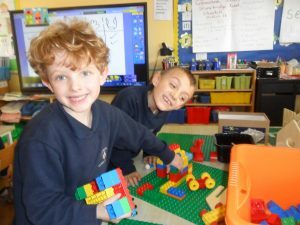 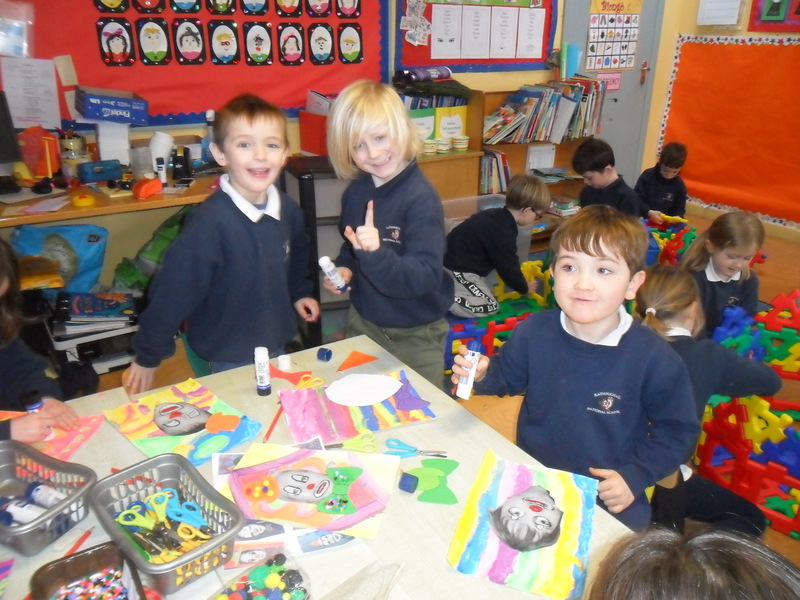 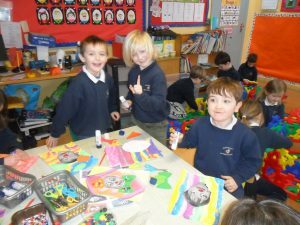 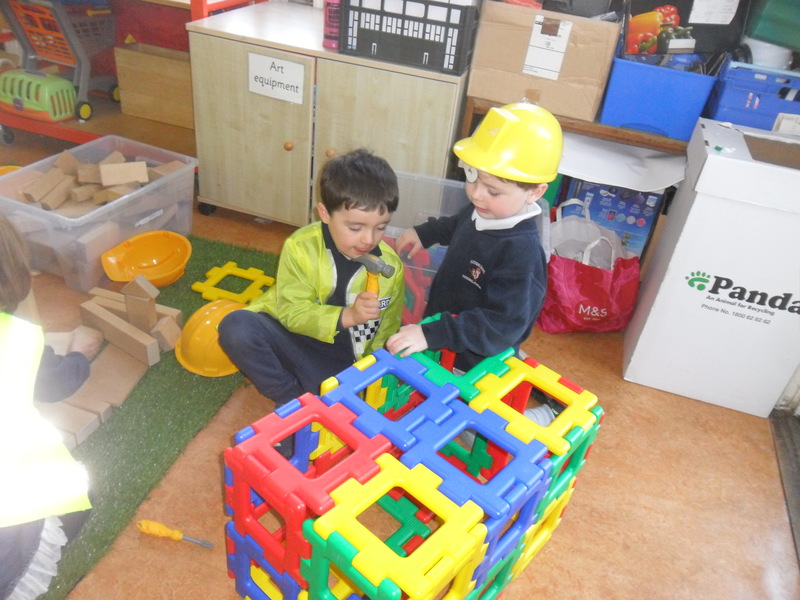 During February Junior Infants focused on ‘Our Locality’. We used Google Maps to have a look at the different types of buildings in Shankill. 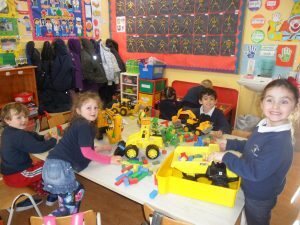 We discussed the many different jobs and community workers that are in a town. 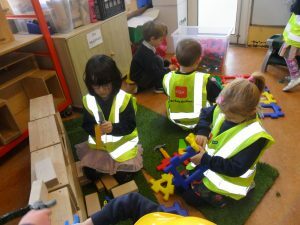 We also talked about ways in which we can care for our environment and how we have a responsibility to look after our world. 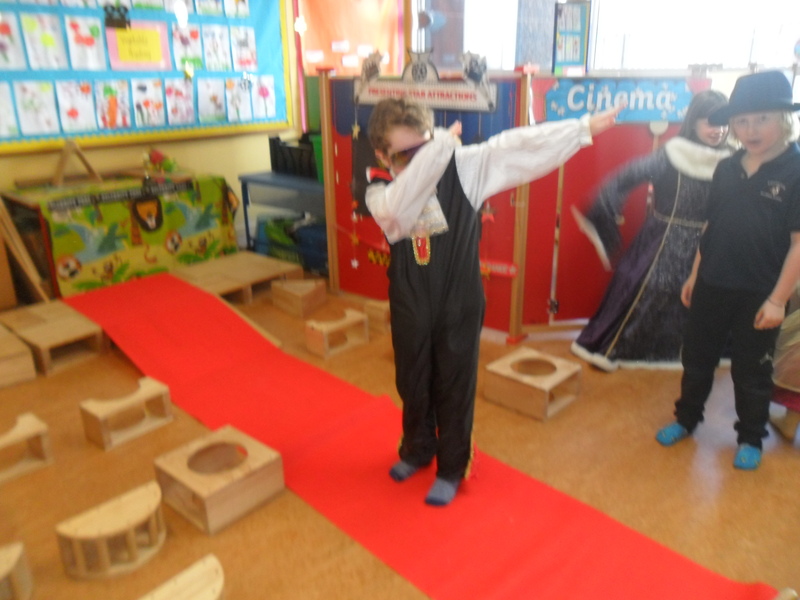 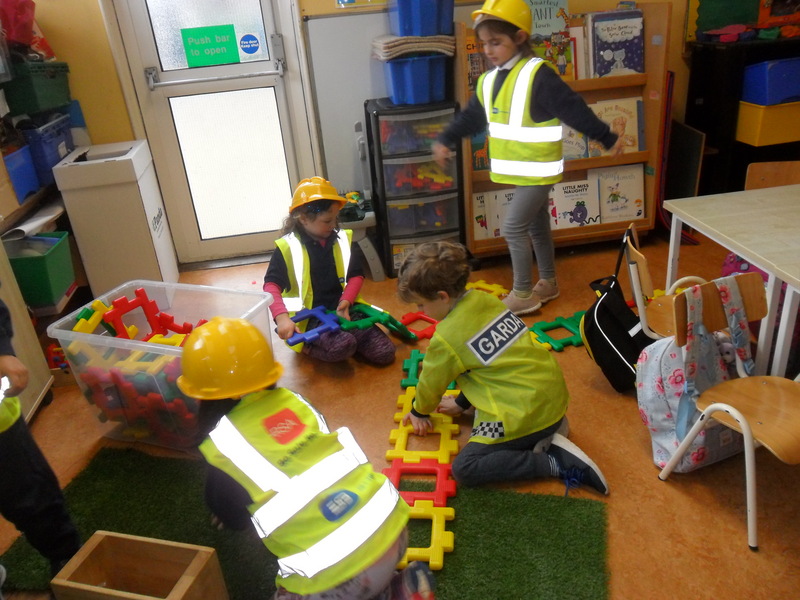 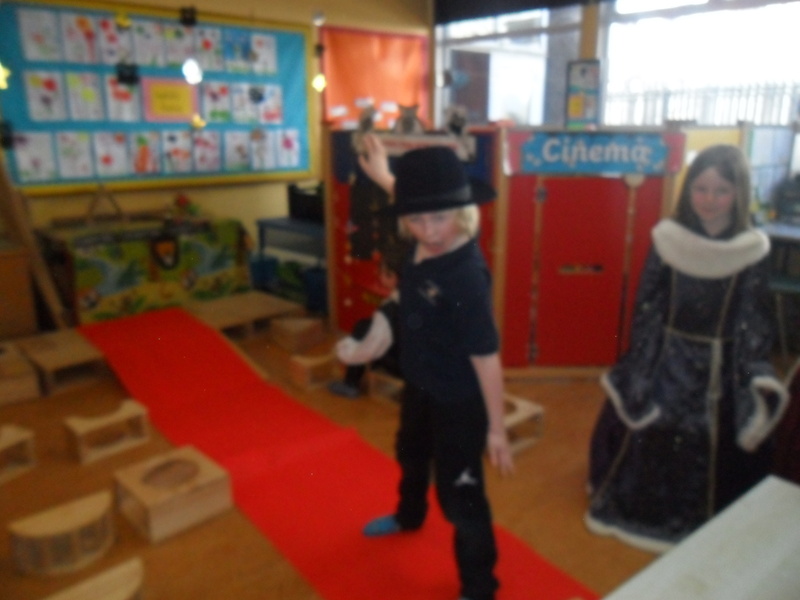 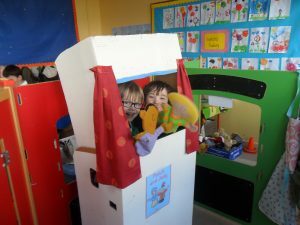 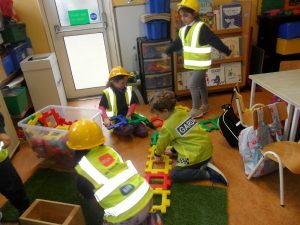 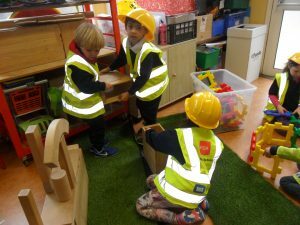 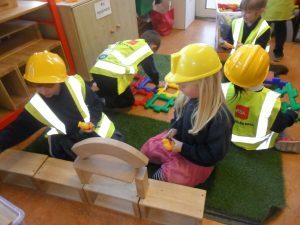 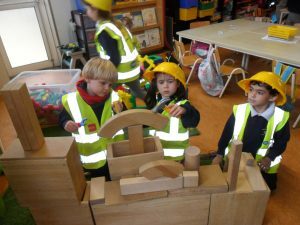 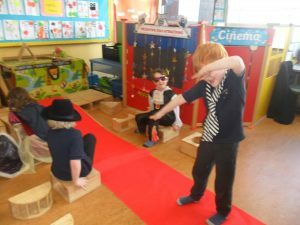 The children looked closely at our school and the many activities and jobs that go on within it.In the Home Corner they had the opportunity to took on the role of various jobs in ‘The School’. 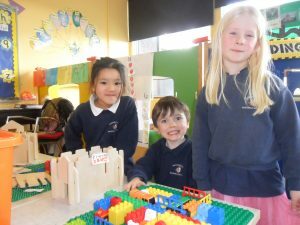 At Small World the children designed and built a town from lego. 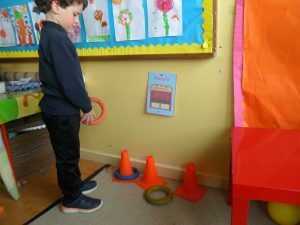 They also, in groups, explored what could be moved by pushing or pulling. They used various surfaces and heights to test cars on the friction ramp thus exploring forces and gravity. 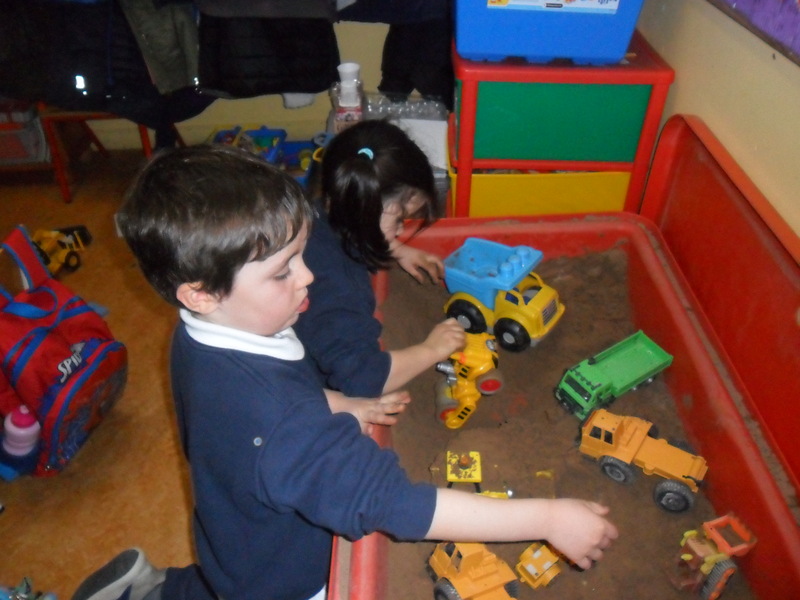 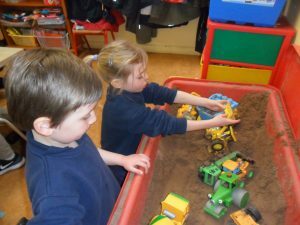 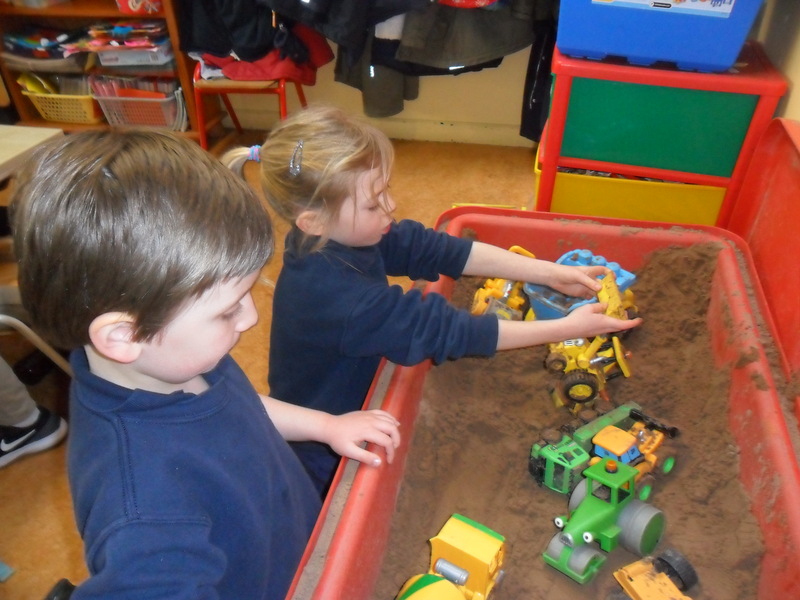 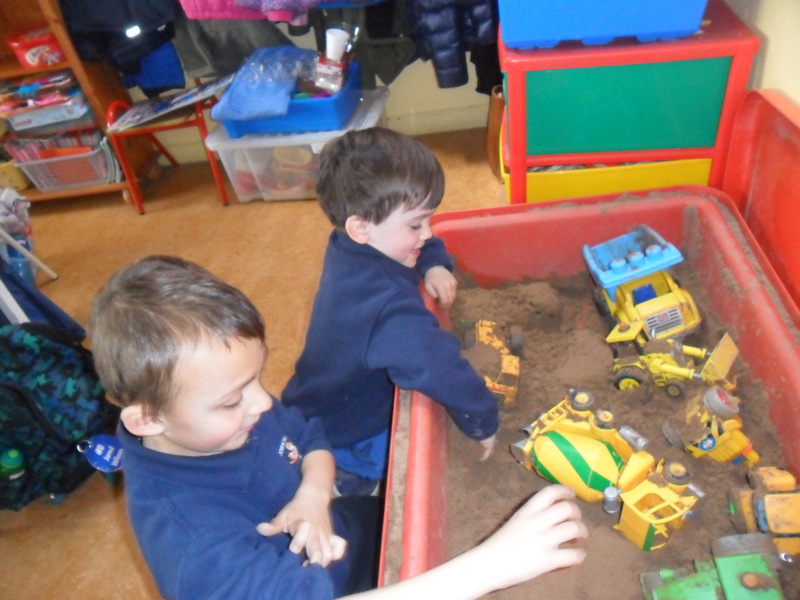 The children played as builders at the sand table. 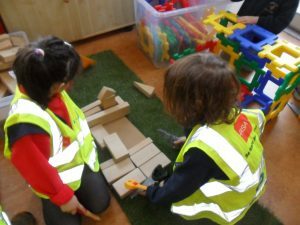 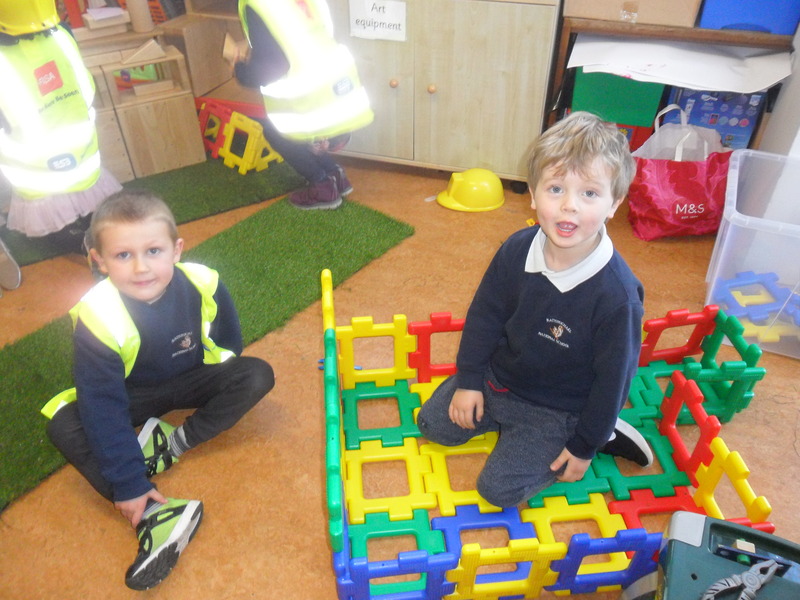 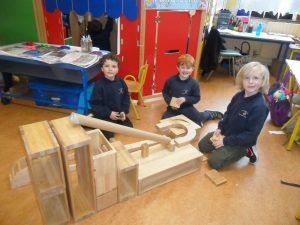 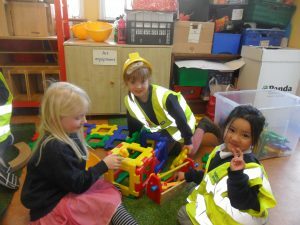 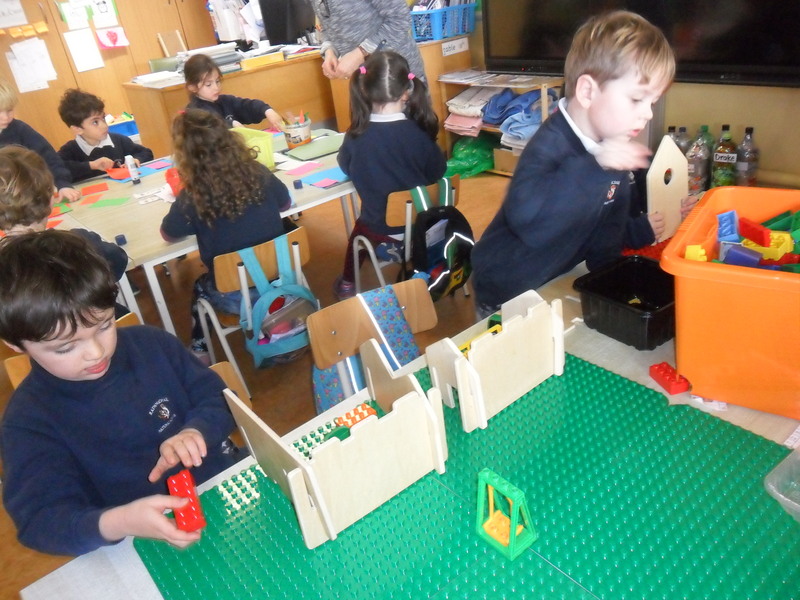 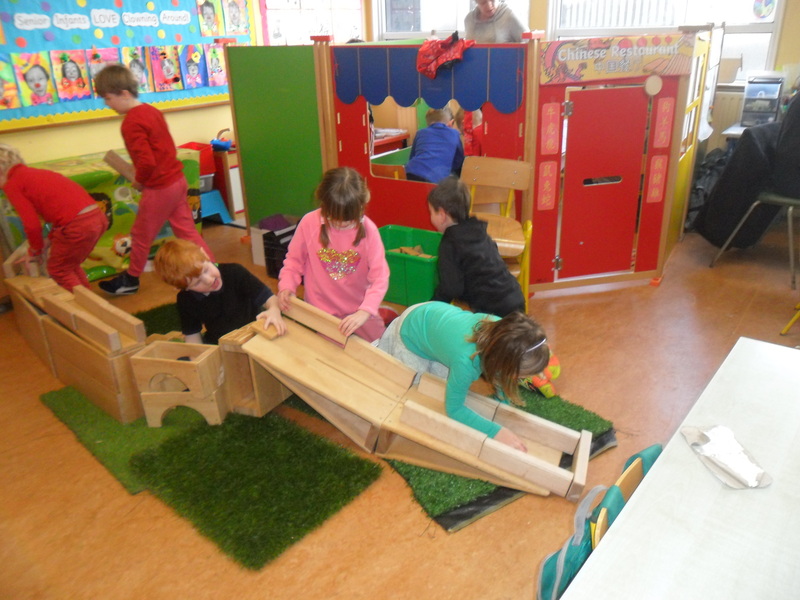 In the Construction Corner the children built a town and buildings using large wooden blocks. 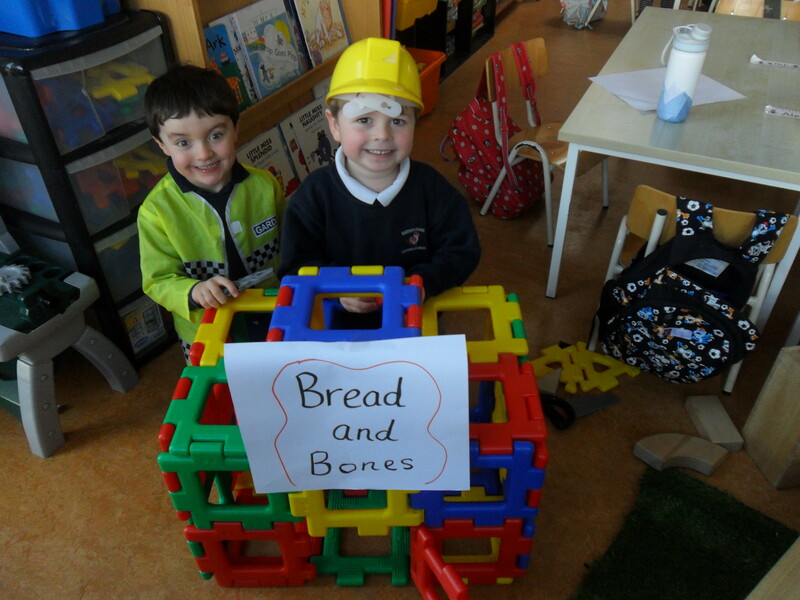 A lot of them were very interested in building the new shopping centre that is under construction in Shankill. 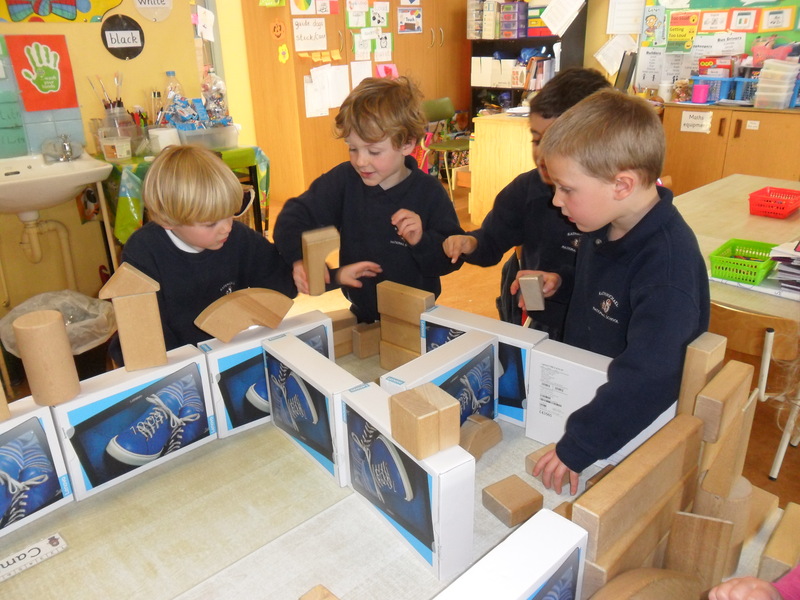 They also used boxes and wooden blocks to build a model of Rathmichael School’. 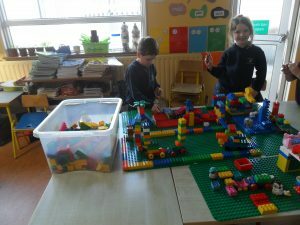 In Art we talked about what we see around us in our towns and each of us made a street scene picture. 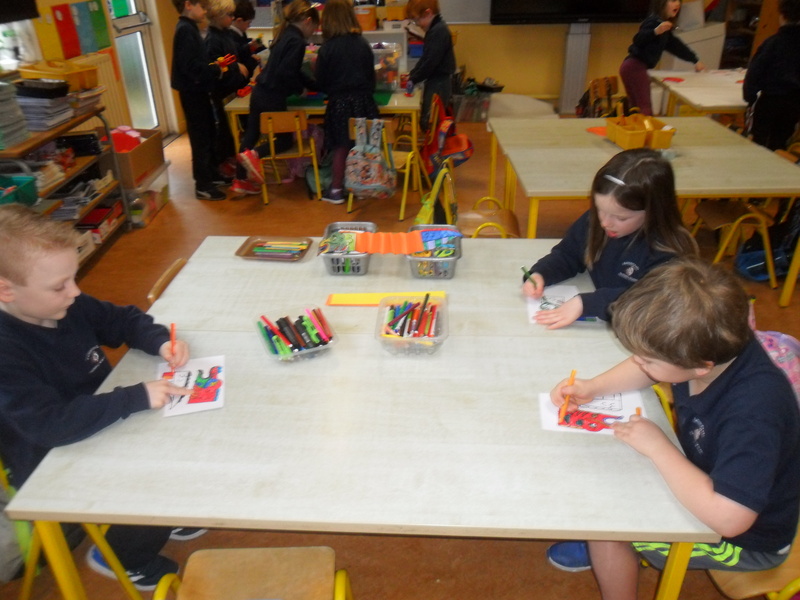 We also drew a poster to encourage people to care for our environment. 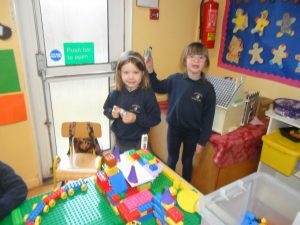 The story we concentrated on was ‘The Smartest Giant in Town’.